"Hey, I don't have a pass to do the grasshopper tomorrow. Let's do the County crit in Santa Rosa. I got Laberge to do it and Matt's doing it too" explained Steve on Friday night. 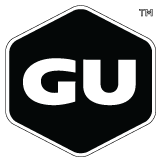 It just so happened that I was in the same boat as he (both of us managing our bike racing habit, a young family and our own businesses) so I said, "Sure, why not. It's close and will be fun"! Game on. It was my first time doing this race. Actually it may have been the first time for everybody since I think it was a new course. It was for Cat's 1/2/3 and was 90 minutes. The course basically had a 250-300 meter front and back stretch with a semi-circle curve on each end. There was also a pretty good head wind on the start/finish stretch and tail wind on the back stretch. Our team game plan was to try to get me the win so I could get a few more points needed towards my Cat 1 upgrade. Matt, Steve and James were going to chase breaks and I was to be attentive in case a dangerous move went that none of us were in. The first 20 minutes consisted of quite a few guys taking flyers off the front and then being reeled back in. 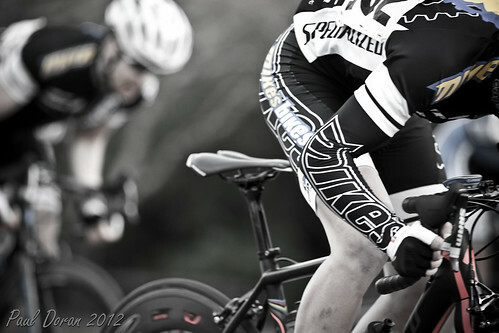 My typically style of racing is to ride towards the front because historically I haven't had many teammates to race with. This gives me the opportunity to go with dangerous moves and no get yo-yo'ed at the back. Once the start whistle blew I soon found myself comfortably towards the front. After making some accelerations to track a few guys down, Steve came up to me and shouted some good advice "Just hang back for a bit". As our team captain and a rider with more experience than I, I followed instructions and dropped back a bit. Moves continued to go off the front and were brought back. A decisive move happened around 30-35 minutes in. Two guys (I think it was John Wilk of Webcor and Joe I. from McGuire) got a bit of a gap and then another Webcor rider (Charles Hutcheson) and another rider bridged up to them to make four. You could tell they were working well together because they were maintaining their gap, if not increasing it. James and Steve made some pretty good efforts to bridge up but unfortunately didn't make it. Then the second decisive move happened; two riders from Red Peloton, Sterling Magnell from Wonderful Pistacio, a rider from Full Circle, Pat Biggs, another Webcor rider and myself got a gap. Credit to Steve for encouraging me to go with them and then slowing the pace down at the front of the pack. So for the next 30 minutes the six of us chased the lead four. The gap hoovered around 20-25 seconds. It was definitely helpful that we kept them in sight. Obviously the Webcor rider in our group didn't want to do any work and initially tried to disrupt the chase but all of us seemed to know this so just went by him when he hit the front. Then one of the Red Peloton guys had enough and dropped back to the chasing field. The five of us kept working and finally got the gap down to 15 seconds when the lead four lapped and were absorted into the field. It wasn't long before our group of five did the same. There was about six laps to go at this time. Steve found me and I followed his wheel to the front. We found James and Matt and the four of us were pretty well together, Steve behind Matt, I behind Steve and James behind me. The bell rang for the last lap and Steve went to the front with about 3/4 of a lap to go. Half way down the back stretch James yelled to go and Steve accelerated to stretch out the group. It was a good move and we were controlling the front. Steve rounded the final corner and I sensed he was pretty well spent (he later confirmed this). At this time I hesitated a bit because I wasn't sure I could sprint into the head wind all the way to the line. Just then I heard James yell my name over my left shoulder as he went by on the outside. I could see some other guys on his wheel. I tried to get on James' wheel but realized he had the jump and that I'd try to jump on a competitors wheel...which I did. But I wasn't able to get by him and ended up fourth in the field sprint (Nice job to James for winning it) and ended up third overall. Charles 'Chuck' won and the Full Circle rider just nipped me at the line for second. All in all it was a great day. This was shared by our other James (Wingert) on our team: 'when you can lap a field in a crit then it's a pretty good day'. Thinking back I probably should have let James in behind Steve and had him lead me out after the final turn since the field was sprinting for 10th. But I'm happy with another podium and think I probably have enough points for my upgrade. 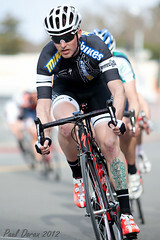 :-).....thanks for the team for the support in the first two crits of the season. Looking forward to returning the favour. P.S. Oh ya....I seem to recall Steve telling me I should have got down into my drops for the sprint instead of on my hoods....this must have been a dream or something.....nope, I think it was true. Jared from Mike's Bikes fit studio did such a good job fitting me on Wednesday ( I feel the best I ever have riding on my hoods) that I must have wanted to stay there. :-) I won't do that again....I think the last time I did that was in a Cat 5 race ....let the 'chuckles' begin. 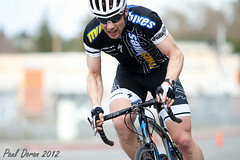 Congratulations to Shawn for getting Team Mike's Bikes first win of the year yesterday in the Cantua Creek Road Race. Older PostIs It About The Bike?